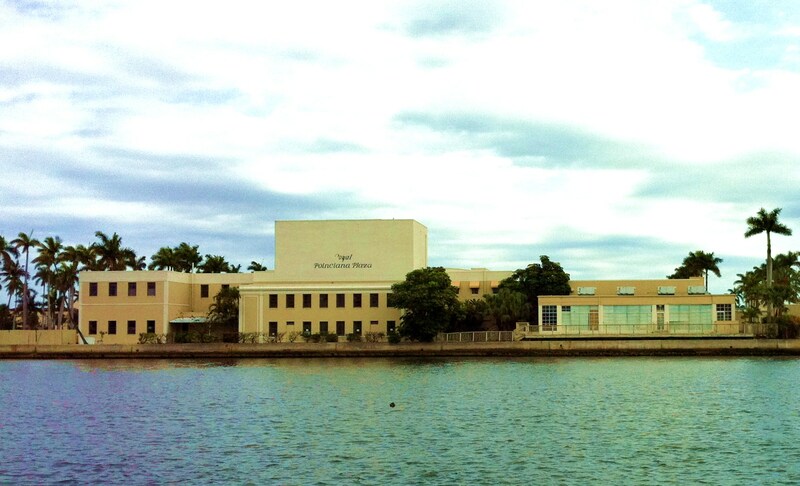 NAI signs long term Lease for Royal Poinciana Playhouse and Celebrity Waterfront Dining Room in Palm Beach ! Palm Beach The National Arts Institute (NAI) signed a long term lease with Sterling Palm Beach, LLC for the Royal Poinciana Playhouse and Celebrity Room. The Hibel Building, adjacent to the Playhouse, will house administrative and fundraising offices. “We are pleased to announce having signed a Lease for the Royal Poinciana Playhouse with Sterling Palm Beach, LLC. The Lease includes the Celebrity Room, it’s “Club,” to offer waterfront dining for Founders and Patrons. We are especially thankful for the $1,000,000 pledge from Sterling Palm Beach!” exclaimed NAI Executive Director, Pamela Stark Thomas. Sterling Palm Beach, LLC Sterling Palm Beach, LLC is an entity comprised of local residents that controls and manages the Royal Poinciana Plaza. Royal Poinciana Playhouse The Royal Poinciana Playhouse, an 878-seat Theater and Celebrity Room, (often referred to as the Royal Poinciana Theater) is a Landmarked theater building opened in 1957and located directly on the Waterfront (Intracoastal Waterway) in Palm Beach, Florida. It has not only hosted an impressive number of royalty and celebrities, but its stage has spotlighted a wide variety of touring theatre productions and celebrity stars throughout the years, [such as George Hamilton, Julie Harris, Christopher Plummer and Burt Reynolds, to name a few].